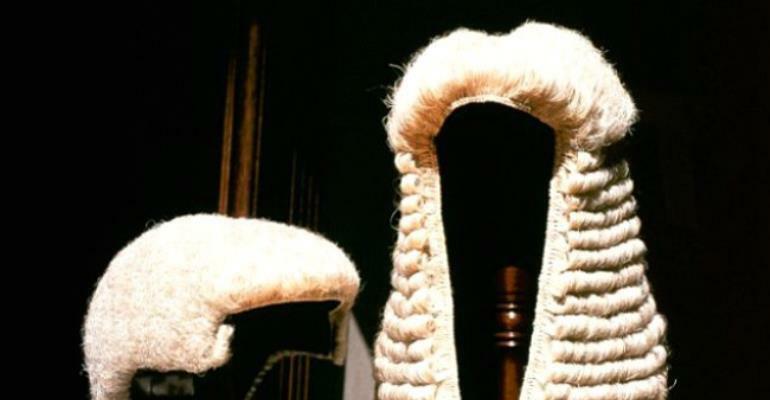 The Magistrate at the LEKMA District Court in Accra, Sedinam Balokah, who is hearing a case involving three Nigerians who allegedly assaulted and threatened to murder a Ghanaian private security guard at Regimanuel Estates Community 19, Lashibi, has fallen sick. As a result, the trial could not continue on Friday, February 23, 2018. The victim, Samuel Nyankum and his lawyer, Desmond Sanki, were in court together with Yaugman David, Felix Okochukwu and Kenneth Marshall, first, second and third accused persons respectively. They were told by court clerks that the magistrate, who adjourned the case to February 23, was indisposed. Counsel for the accused Jonathan Antwi and that of the victim settled on March 9, 2018 for the trial to continue. It would be recalled that the first accused person, who reside in the estate, got home around 4 am on October 19, 2017 and parked his car for about five minutes at the main gate of the Regimanuel Estates, Community 19. Another security guard called Morrison, who was on duty that night reportedly enquired from the accused why he had parked his car in front of the gate. Initially, the first accused person refused to answer the question from the security guard and after a few minutes, he posed the same question again. Few minutes later, David arrived at the scene and asked the three security guards to open the gate. The victim, who happens to be the supervisor of security at the estate, ordered his subordinates not to open the gate in line with the rules of the estate, which state that the estate gates should not be open from 12:00am to 4:00am each day. At that point, the accused became furious and told the security guards that he was paying monthly security fees and that they should open the gates for him. The victim reportedly informed the accused that they were acting on instructions from management of the estate. Upon entering the estate with his KIA car with registration number GM 21-07-12, he alighted and allegedly attacked the victim for instructing his colleagues not to open the gate. According to reports, the accused, who appeared to be drunk, threw the first punch and fell down and got hurt, claiming that the victim hurt him. David went home, but after a few minutes and he purportedly came back to the gate with the second and third accused to ruthlessly beat up the victim. They reportedly attempted to force the victim into their car to take him somewhere to 'kill' him. The victim accordingly struggled with them to save his life and they continued to beat him until around 5am when he became helpless and told them that he would go with them. At that point, he mustered courage and jumped over the fence to another house in the estate, which is occupied by a renowned broadcast journalist (name withheld). The victim was nearly bitten by the bulldog in the house. The wife of the said broadcast journalist came out to find out who was in her compound. The Nigerians, who had disfigured the victim, reportedly called him a thief. However, the owner of the house identified him as one of the security guards for the estate, and the police from the Community 18 Police Command were called to scene to arrest the accused persons. The victim was issued with a medical form to seek treatment at the Tema General Hospital. Arbitration was used for the case but the process broke down along the line and the victim, Samuel Nyankum and his lawyer, Desmond Sanki, were compelled to go back to court for trial to continue.